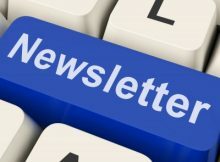 Click here to access the March 2019 Newsletter. Click here to access the February 2019 Newsletter. Click here to access the January 2019 Newsletter. Click here to access the December 2018 Newsletter. Click here to access the November 2018 Newsletter. Click here to access the October 2018 Newsletter. Click here to access the September2018 Newsletter. Click here to access the August2018 Newsletter. Click here to access the July 2018 Newsletter. Click here to access the June 2018 Newsletter.